The Xbox One version of Bungie's latest online shooter, Destiny, found the power it needed to give a much needed boost to the resolution. All that spare power couldn't have just freed itself up though. Where was Microsoft able to scrape it up from? Well, don't let everybody know this, but Bungie went ahead and cut support from the Kinect. Yeah, it's awkward, I know. Not for Xbox Boss Phil Spencer though, who thinks that Bungie "unlocking" the power of the machine from behind the Kinect is a step in the right direction. "I think about games like Sunset Overdrive, that's going to take advantage of the June [SDK]," Spencer said on the a Major Nelson podcast. "And they're going to use the increased capability that lowering the reserve will have to actually make a more vibrant and alive gameplay space, so that's where they're going to invest. "Even our friends at Bungie, and I've been spending a lot of time down there, they're going to pick up the June SDK update for Destiny, and they're going to up the resolution of Destiny based on this change. So I think it's just a great time for us." Even though the game won't be taking advantage of what the Kinect can bring to the experience, at least you don't have to unplug it to get the full power of the game. "We wanted to give developers a choice on how much of the reserve, the Kinect reserve, they wanted to leave in the system. If they know how they're going to use Kinect, or if they're going to not use Kinect in their game, we wanted them to have the option at a game side to decide how much of that reserve will remain. "It has nothing to do with Kinect being plugged in, in fact everyone should leave Kinect plugged in, because as soon as the game isn't running anymore, you quit the game, you go back to the dash, you are going to have all the great Kinect functionality that you ever had, and you can boot a Kinect game and the Kinect will continue to work – it'll have no impact on the game that decides off the back end that it's going to lower the reserve that's set in." Oh Kinect, we barely knew ye. Any major studio out there, especially Bungie, is going to want to put resources behind gameplay and performance rather than a gimmicky controller half of the gaming audience doesn't even want. If this works well for Destiny, you can bet every other major studio is going to follow suit and just scrap Kinect altogether. If it doesn't work out well for Destiny, well, the precedent is still there, and I'm willing to bet a lot more developers and publishers are willing to take that risk. How about you? Would you rather have Kinect controls for Destiny, or is the games performance and resolution more important to you? Let us know in the comments below. 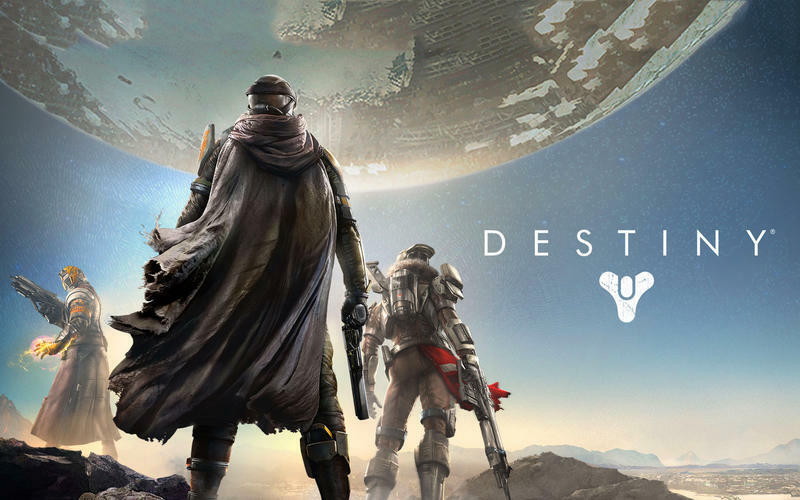 Destiny will be released for the PlayStation 3, PlayStation 4, Xbox 360, and Xbox One on Sept. 9.